The German hits just keep coming, do they not? After Papa Trinkt Bier and Staplerfahrer Klaus and the German Indian Winnetou, it is time for something a bit more pompous. 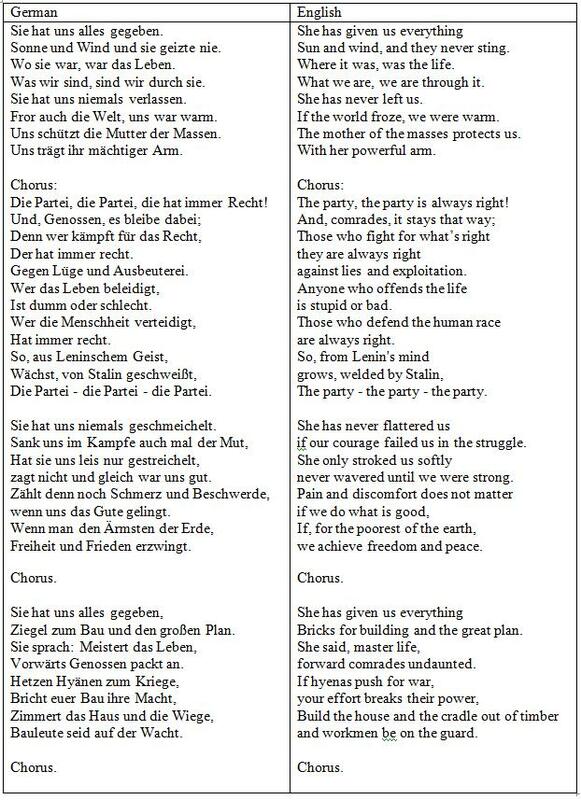 This is the state sponsored Die Partei hat immer Recht - the party is always right - with the full text and my translation underneath so we can all join the chorus.